The St. Nazaire Raid (also called Operation Chariot) was a successful British seaborne attack on the heavily defended docks of St. Nazaire in occupied France on the night of March 28, 1942 during World War II. The operation was undertaken by Royal Navy and Army Commando units under the auspices of Louis Mountbatten's Combined Operations. 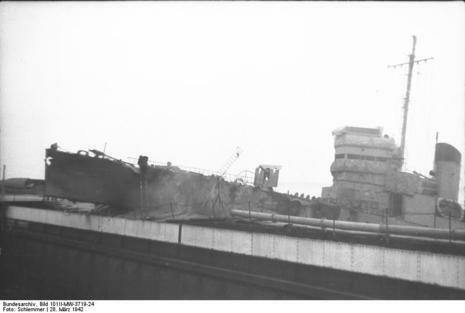 St. Nazaire was targeted as the loss of its dry dock would force any large German warship in need of repairs, namely the Tirpitz, to return to home waters rather than seek safe haven in the Atlantic coast. The obsolete destroyer HMS Campbeltown commanded by Stephen Halden Beattie and accompanied by 18 shallow draft boats, rammed the St. Nazaire lock gates and was blown up, ending use of the dock. 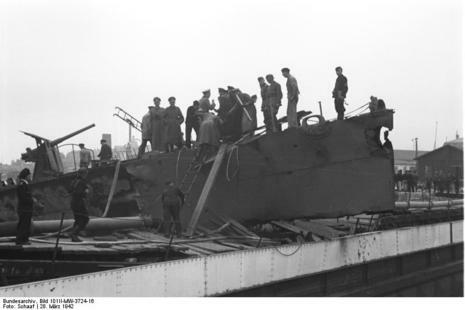 Commandos landed on the docks and destroyed other dock structures before attempting to fight their way out. 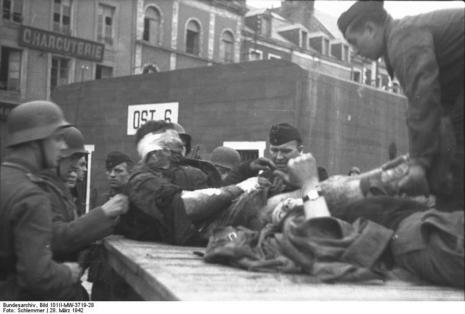 Out of 611 Royal Commandos who entered the St. Nazarie harbour, only about 200 or more suceeded in landing at the docks. All but 27 of the commandos that landed were either killed or captured: 22 escaped back to Britain in the Motor Torpedo Boats and five escaped to the Spanish border. Five Victoria Crosses were awarded to men involved in the raid, which has been called The Greatest Raid of All. In the second week of January 1942 the powerful German battleship Tirpitz moved from the Baltic through the Kiel canal and north to Trondheim on the Norwegian coast. There was a very real danger that it would break out into the North Atlantic and wreak havoc on allied Atlantic convoys. 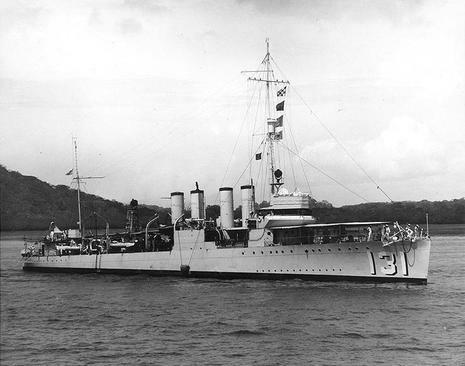 C in C Home Fleet, Admiral Tovey, held the view that to sink the Tirpitz would be "of incomparably greater importance to the conduct of the war than the safety of any convoy." Churchill shared this view commenting that "the entire naval situation throughout the world would be altered."